Books Anonymous: Mary Mary, quite contrary, how do your bookcases go? 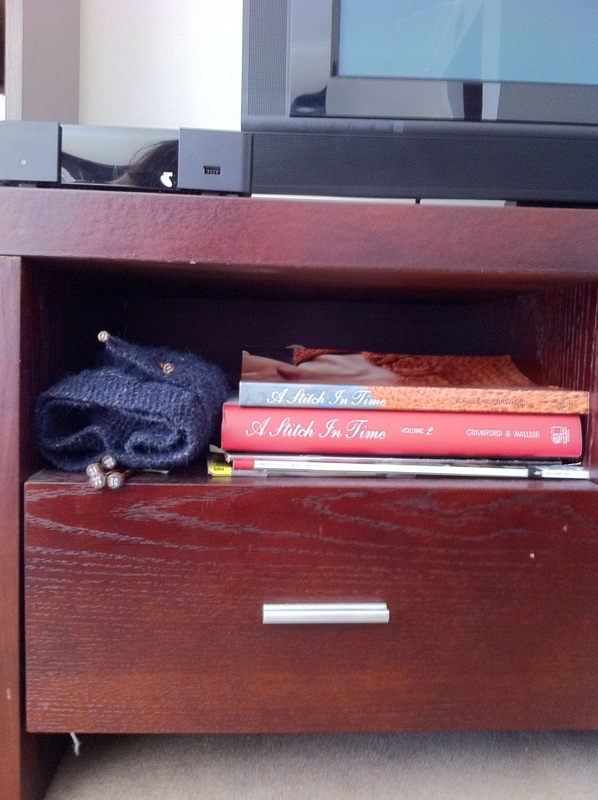 Mary Mary, quite contrary, how do your bookcases go? 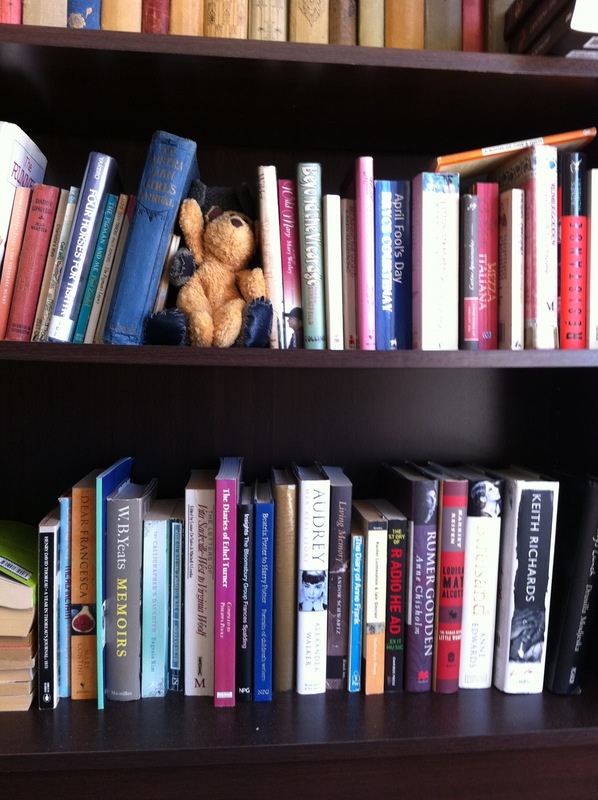 There is often chat amongst book bloggers about how we all arrange our bookcases. After all, they take up a fair chunk of our walls, and they can be very decorative - but most book junkies aren't collecting books for the aesthetic effect! Meantime, I have the four matching dark melamine woodgrain, VERY cheap bookcases that I acquired when DB and I moved in together. They've changed configuration a few times with house moves, which has necessitated some rethinking about book arranging to make them work, because my books are fairly strictly organised, and always have been. I tends to drive other people bonkers - I have no idea why. However, with eyes shut, I can head to a bookcase and pull the book I want off the shelf...and that's the aim of the exercise. The fiction is divided into adult's and kid's. 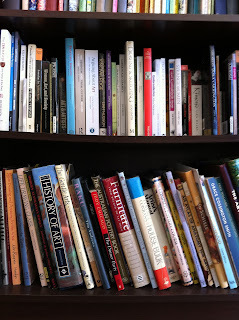 All the fiction is in alphabetical order by author. Then there are separate spots for art and design, poetry, biography, food, religion, and then a bottom shelf that has a collection of the really big books that can only be piles sideways because they're too tall to stand up! 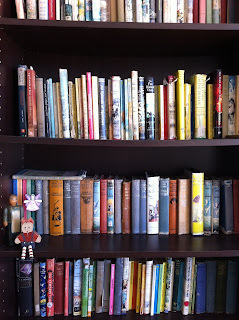 These are some of the kid's books - they go across twice this width. The little wooden creatures were all gifts from my mother at various times, and this is their spot. 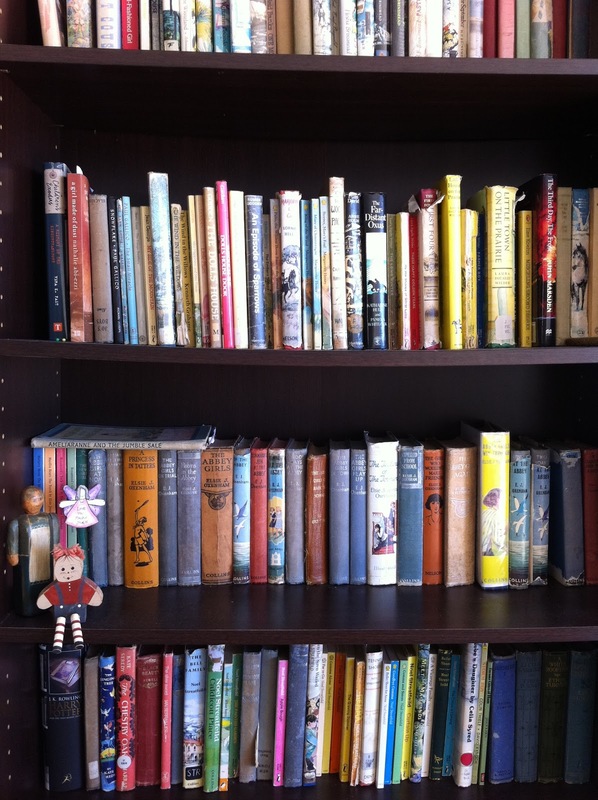 The biogs - this is one shelf of two - are separated from the tail end of the kid's collection by the book bears - Gus and Wilbur. Wilbur is dark grey and hand knitted, so you can't really see him behind Gus, but rather than have them languishing in a box somewhere, they live with the books. DB just came back from an overseas business trip and brought me Mr Bean's bear, Teddy... 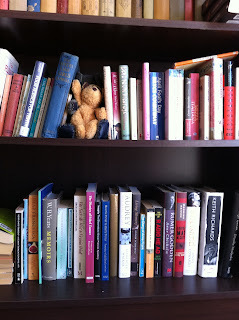 I have to decide whether to find him a spot in the bookcases, or to take him to work - there is a row of books on my desk that may need some company! 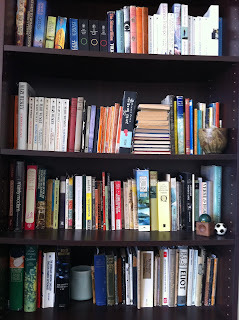 The right hand bookcase of the pair that house the adult fiction - the tail end of that is in the top couple of shelves, and on the second, where the pile is stacked, begins the poetry. The lovely ceramic piece on the right hand end of that shelf is a tea bowl by Milton Moon - one of my great treasures and a lovely gift from a group of friends. It gets used to drink from, but it's safer living on the bookcase in between rather than being in the cupboard in the kitchen. The other ceramic piece acting as a bookend is a piece of porcelain by a South Australian potter, Kirsten Coelho, given to me by my closest girlfriend. It comes out when I can get my hands on tiny white daisies, because it looks just gorgeous holding a handful of those. The green ball on the wooden stand was my mother's, and the soccer ball-style one is one of a pair that belong to DB - they're those oriental ones that chime gently when they're rolled. This is just some of the art and design collection - a goodly number of which were part of the kilos posted home from Florence years ago! That big one - History of Art, on the bottom shelf - is, seriously, is the heaviest book I've ever owned and was the core text for my MA in art history. I'm not sure how long I have before there are words. But, methinks just arriving home with a fifth bookcase might be a little overt at this point! However, I'm measuring up walls while I sit in the living room and considering the options because it is starting to be a bit of a problem. Such nice bookcases, Kaz! And I'm drooling looking at your vintage hardbacks! Oh - and Peter - did you notice the well-worn large hardover Italian-English dictionary in the bottom left hand corner of the fourth pic? !